On the fortieth anniversary of The Band’s legendary The Last Waltz concert, Robbie Robertson finally tells his own spellbinding story of the band that changed music history, his extraordinary personal journey, and his creative friendships with some of the greatest artists of the last half-century. Robbie Robertson’s singular contributions to popular music have made him one of the most beloved songwriters and guitarists of his time. With songs like “The Weight,” “The Night They Drove Old Dixie ... See More Down,” and “Up on Cripple Creek,” he and his partners in The Band fashioned music that has endured for decades, influencing countless musicians. In this captivating memoir, written over five years of reflection, Robbie Robertson employs his unique storyteller’s voice to weave together the journey that led him to some of the most pivotal events in music history. This is the story of a time and place—the moment when rock ʼnʼ roll became life, but above all, it’s the moving story of the profound friendship among five young men who together created a new kind of popular music. 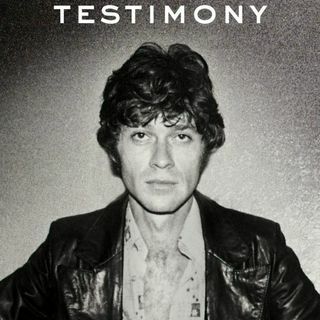 Testimony is Robbie Robertson’s story, lyrical and true, as only he could tell it.